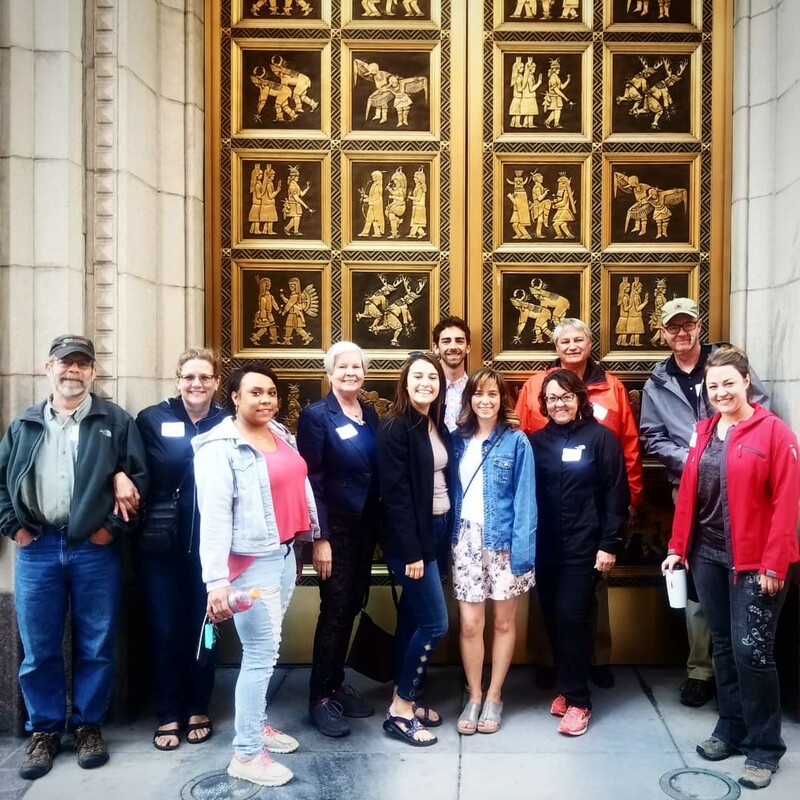 To wrap up the festivities of the Boettcher Scholar Alumni Board’s Signature Event, attendees had the opportunity to join one of six different excursions on Sunday. From a behind-the-scenes tour of Mile High Stadium, to a wildflower hike on Mt. 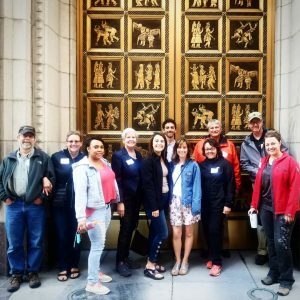 Goliath, to a bike-and-brew tour in of Denver’s trendy River North Arts District, there certainly was something for everyone. What a difference a day (and a few thousand feet of elevation gain…) can make! After a scorching Saturday in the Mile-High City, hikers were greeted by much cooler weather as they hiked through thick fog on Sunday on Mt. Goliath (a part of Mt. Evans). Janet Manning, a 1965 Boettcher Scholar, led the group through a fascinating three-hour alpine wildflower hike. 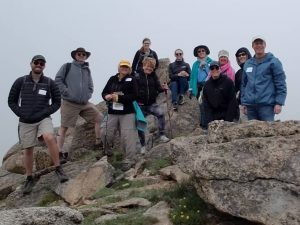 In addition to seeing dozens of beautiful samples of alpine flowers, the group also hiked through a bristlecone pine forest which is home to trees that are up to 2,000 years old! The hike ended just as a storm settled in, and the hikers headed down to the Echo Lake Lodge for a warm lunch and coffee. An excited group of Boettcher Scholar alumni and their guests attended the Colorado Rockies baseball excursion. Unfortunately, Mother Nature wasn’t totally on board with the plans, offering plenty of rain and even some hail during the day. We enjoyed the (tent-covered) Colorado State University pregame lunch, including a shout-out from Colorado State University president and Boettcher Foundation trustee Tony Frank, and some great photo opportunities with Cam the Ram and the CSU cheerleaders. 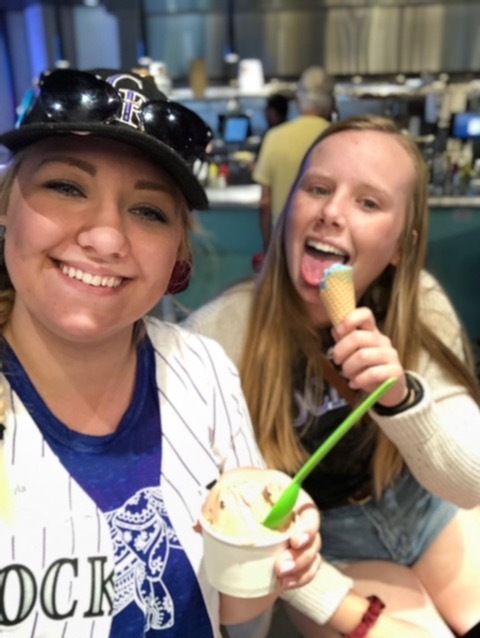 A couple of scholars found an ice cream diversion while waiting out the rain delay, and a few hearty souls hung around for part of the baseball game. A good time was had by all despite the weather! 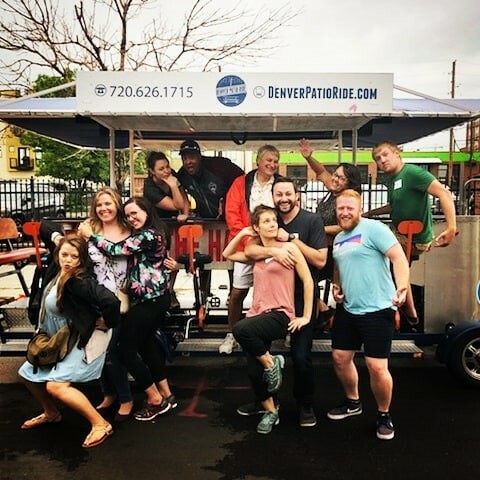 Ten brave Boettcher alumni and their families embarked on a two-hour long “pedal-hopper” experience wherein we all worked together — in the spirit of collaboration — to bike around to several different breweries in the Denver area, including Stem Ciders, Ratio Beerworks and Epic Brewery. We were fortunate to enjoy tours of both Ratio and Epic. Not only did we learn about the history of the breweries and the process of making beer, we learned about how the microbrewery scene impacts the economy in Colorado. After our time was up on the pedal hopper, a few of us headed back to Stem Ciders to enjoy the food truck and to determine who was the best foosball player. A big thanks to the Boettcher Foundation for a fun and educational afternoon! After walking up and down Denver and Union Station with an amazing tour guide, we came to the conclusion that even the Denver natives had no idea just how much the city of Denver was shaped by the Boettcher family! From the preservation of the Brown Palace amongst threats to tear her down, to the countless entrepreneurial endeavors and economic growth the Boettcher family provided Colorado during the Great Depression, it’s safe to say that the tour was an eye-opening illustration of just how incredibly special it is to be a part of the Boettcher legacy. The downtown Denver and Union Station tour was perfect close to a great weekend! 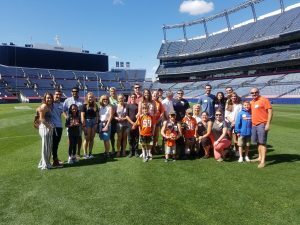 Scholars and their families were treated to a behind-the-scenes tour of Denver Broncos Field at Mile High Stadium. Pat Tetrick, Denver Broncos director of guest relations, led the tour which featured an opportunity to go onto the field, explore home and visitor locker rooms, visit the broadcast booth and see the control room for ThunderVision! 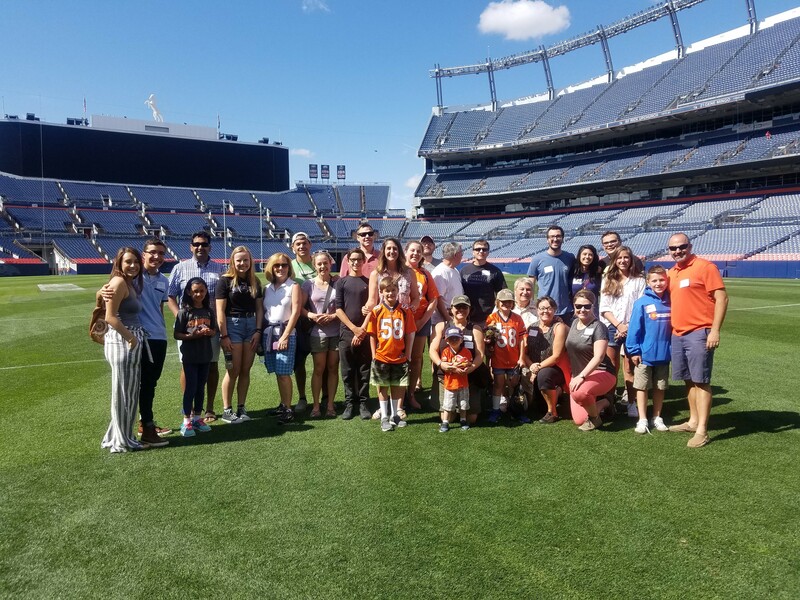 The tour was a great opportunity to further connect and for Broncos fans to see the stadium from the perspective of players, media members and private suite owners! It also got everyone on the tour in the mood for football season! Thanks to Pat Tetrick and the Denver Broncos organization for this opportunity. Two Boettcher Scholar alumni and their spouses jived with snippets of old-time country music and a sampling of some American original genres that grew from it – blues, jazz, zydeco, rock and hip-hop. The 3D IMAX production was narrated by Aloe Blacc, a singer-songwriter, who led the surround-sound audio journey through America highlighting development of these American music genres. The visuals were grand and the music was lively. It was fun to experience the movie and visit with old friends. Unfortunately, one Boettcher alumni and his spouse were caught in the downpour that occurred as they were supposed to disembark at the museum. They remained on the bus took an impromptu tour of the city, reporting that they were amazed at the at the changes in Denver, Aurora and at the Fitzsimmons redevelopment. While we certainly missed them, a good time was nonetheless had by all.